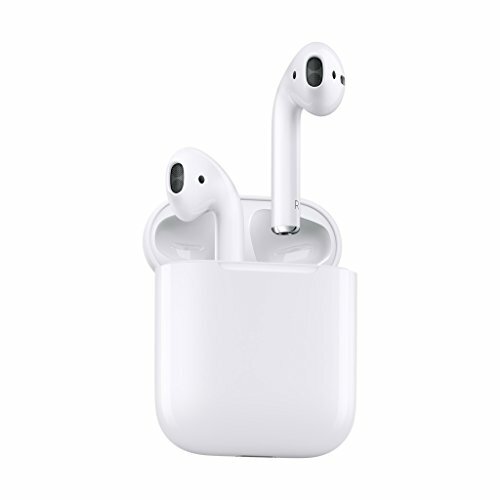 The often-accurate Apple analyst Ming-Chi Kuo believes an upgrade to the AirPod wireless earphones will arrive in early-2019. This falls into line with recent rumors about the new AirPods, but Kuo believes this will only be a small upgrade to add wireless charging to the case and improved Bluetooth. After this, Kuo believes a more significant upgrade will arrive in early 2020. Kuo's early-2019 prediction is at odds with that of a prominent technology leaker known as Ice Universe, who tweeted in November to say Apple will "definitely" launch the earphones this year. As reported by MacRumors, Kuo's latest research note for investors predicts that AirPods will become a hugely popular product for Apple between now and 2021, with annual sales accelerating from around 27 million now, to over 100 million at the start of the next decade. Kuo's note said: "The upgraded model with wireless charging support to benefit shipments to launch in 1Q19 [the first quarter of 2019]...the all-new design model to boost replacement demand to launch in 1Q20...In summary, AirPods is Apple's most popular accessory ever, and it currently has the best growth momentum among Apple products." It is believed that the 2019 AirPods will get a case which supports wireless charging. Apple first mentioned such a product back in 2017 when the iPhone X was announced alongside a wireless charger called AirPower. But, after several delays, the AirPower is yet to go on sale, and the AirPod wireless charging case is also missing. Even if the AirPower fails to arrive, the AirPods wireless charging case should still work with any third-party wireless charging customers currently use for their iPhone. As for the 2020 model, recent rumors claim the AirPods will gain sweat resistance, improved fitness-tracking and Hey Siri support, where the voice assistant can be summoned by saying 'hey Siri', instead of pressing a button or reaching for your iPhone. Industry analyst firm Gartner predicts there will be huge growth in the wireless earphone sector between now and 2022, with global shipments predicted to jump from 21.5 million in 2017 to 158 million in 2022. This would see earphones outpace all other form of wearable device, including smartwatches, smart clothing, wristbands and sports watches.